Christianity - goyur group, inc. The early Christians were not followers of Jesus Christ because the letter J did not exist 2000 years ago. The first Christian bishops existed long before the Messiah of the Messianic writings (New Testament). 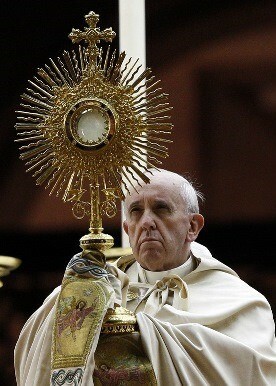 The word Christian is derived from Christus, or Christeus. This is not a translation of the Hebrew word anointed one which is Mashiach or Messiah, but rather a transliteration of the name Christus for the Coptic deity called Serapis Christus. This deity was born on December 25th, to a virgin mother, and is often referred to as the good shepherd. The Hebrew Mashiach detailed in the Torah/Tanakh (Old Testament) and the Messianic writings was born of eastern thinking parents who named him Yahushua or Yahusha (salvation of YHWH) Mashiach (the anointed one) of Nazareth according to thier customs and as directed to them by their Elohim. This individual was not born on December 25th, nor was he born of a virgin. ​The name Iesus is what he was called by the Roman Empire, which is a transliteration and not a translation, which is a big difference. A translation of a word changes the sound of a word, but retains its meaning. An example of this is the name of one of the disciples Matthew, which is a translation of the Hebrew name Matithyahu which means YHWH's gift. A transliteration does not consider the meaning of the origin word or name, but focuses on maintaining the characters. Iesus or later Jesus is a transliteration of the Greek deity Zeus, which is clearly understood in the Hispanic translation which means hey or hail Zeus. The followers of the Mashiach were the Messianic (Natsarene) people and were targeted and viciously killed by Rome and are referred to as the saints and martyrs of the scriptures, which included the 12 disciples of the Mashiach. ​ Rome attempted to extinguish every trace of the Messianic faith from the empire by killing them, but even more than 300 years later in the reign of Emperor Constantine I during the peak of this great persecution, the Messianic faith remained and enthralled Rome. Dealing with a split Roman Empire and fighting the Franks, this ruler needed to unify the people behind him in order to legitimize himself as an Emperor of Rome. He made Christianity the official religion of the Roman Empire in 313 CE by merging together the pagan sun worship, idol worship, and ritual days with the Messianic faith. Constantine I made himself the first Pope of this new “church” which is an old English derivation of Circe (also a sorceress who was the daughter of the sun), which is derived from Ancient Greek meaning “kyriakon” or house/domain of the root word "Kyrious" meaning “Lord” ( Ba’al in Hebrew). The emperor legitimized himself as both earthly and spiritual leader of Rome and made the general Greek term "God" replace the Hebrew Elohim YHWH (which was replaced much earlier with the term Lord), thus placing himself as "God’s" chosen ruler with the anointed authority to label anyone who thought differently a heretic to be killed. The oculus is a prominent design of the HRCC. The HRCC still worships the sun today. The crucifixion of the Mashiach did not involve a cross. Christianity replaced the Hebrew faith with pagan, idolatrous religion, and sun worship. The most prominent symbol of the Christian faith is the cross. This has been a pagan symbol and form of idolatry long before the Mashiach and is another false doctrine that Christianity inherited from the mother of harlots, the Holy Roman Catholic Church (HRCC). The Mashiach was not crucified on a cross, the original translation from Hebrew was that he was nailed to a tree. In the Greek translation of the texts the term used to describe the instrument of his crucifixion was commonly used to dispatch criminals or enemies of the state and was called a stauros (wooden stake or pole). 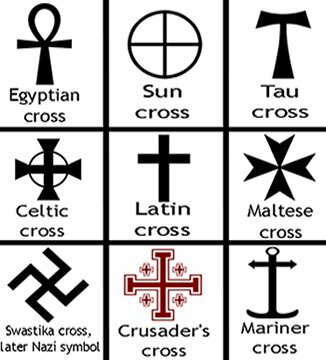 The symbol of the cross was added later by Constantine to represent the Mashiach, but in reality it represented the T that was at the center of the zodiac calendar and the first letter of the name Tammuz. 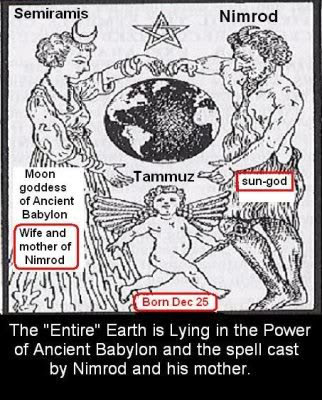 Tammuz is a Babylonian god that is the reincarnation of Nimrod and was born on December 25th, to his virgin mother Semiramis (Ishtar or Easter), who received Nimrod’s essence through the sun (origin of religion). 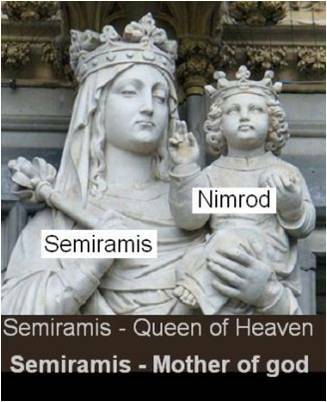 Semiramis was known as the “mother of god” or the “queen of heaven” and is represented by the mother and child statue also known as the Madonna and child. This imagery and idolatry was also used in Mistrian (Egyptian) religion and is representative of Isis and her child Horus who was also born on December 25th of a virgin birth and his mother was also impregnated by the sun. All of the old temples of sun worship were simply replaced by Christian churches built directly over top of them, which was also against the word of the scriptures, and the day of worship was moved from the Sabbath (last day of the week) to Sunday (the first day which is also the sun’s day or Apollo’s day). 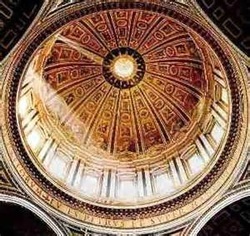 Many other pagan symbols have been handed down from Ancient Sumer, to Mistrayim, to Babylon, and then onto Rome such as; the zodiac or the use of astrology to personify "gods" in the sky (stars and other heavenly bodies) and the actions of the people below; the oculus or circular openings in domed structures (for sun worship); the burning of candles and incense for rituals; paying rites to the dead; the obelisk (Washington monument) which represents the male phallus and is also used to track and/or worship the sun.